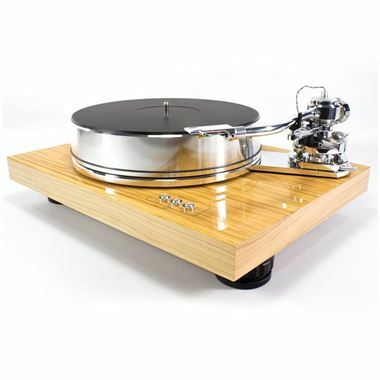 The ProJect Signature 10 is a true high-end turntable designed by Pro-Ject Audio Systems. The Signature 10 uses a mass loaded magnetic floating subchassis, perfect for reducing resonance and noise. Please note: You can add the flagship Ortofon Cadenza Black cartridge (worth £1750) to this model at a very special price (Normally not supplied with a cartridge). Alternatively If you're looking for a recommendation, please give us a call on 01904-691600 to discuss your options.